Winter in Albuquerque is an underrated travel season. Many people do not realize how uniquely beautiful the weather is with warm, sunny days and chilly nights. Winter months are perfect for both indoor and outdoor activities and visitors to the area have the choice between enjoying the sun or the snow. From snowshoeing in the Sandias to ballooning at sunrise, you'll find activities to suit either climate preference. As one of the most culturally diverse cities in the country, Albuquerque shows off its unique heritage in its architecture, artwork, cultural centers and cuisine. Albuquerque is home to more than the Native American, Hispanic, Latino and Anglo cultures for which New Mexico is well known. In fact, more than 70 different ethnicities call Albuquerque home. 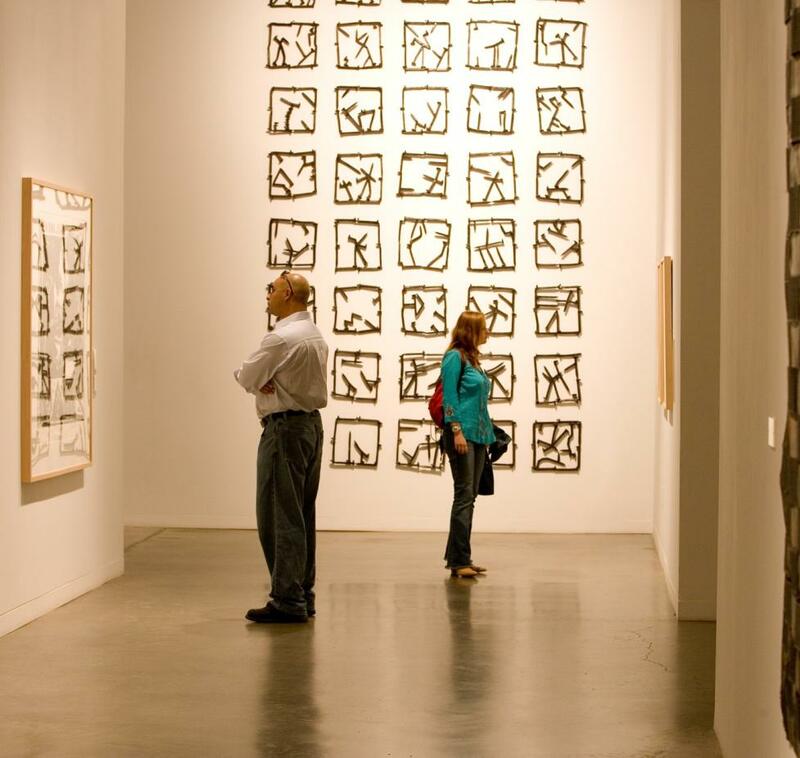 You can experience Albuquerque&apos;s ethnic tapestry through many museums, cultural centers and in local shops. Home to 19 museums, Albuquerque has something to spark any interest from turquoise to hot air balloons to nuclear science. The Albuquerque Museum showcases the art, history and culture dating from the present day back to the year 1700 and beyond. The New Mexico Museum of Natural History and Science offers a Bill Gates exhibit for the techy teen to enjoy, and Explora&apos;s hands-on science experiments for the little ones. Plan a visit to one of our cultural centers and dig a little deeper into Albuquerque&apos;s many cultures. Learn more about Native American culture at the Indian Pueblo Cultural Center at weekend Native American dances by tribal dance groups and informative exhibits, buy unique gifts and souvenirs at the gift shop and dine at their unique Native fusion restaurant. The National Hispanic Cultural Center offers permanent and changing exhibits, North America&apos;s largest concave fresco and additional attractions, including a performing arts center, gift shop and restaurant. Looking to warm up? Albuquerque&apos;s signature red & green chile will do the trick! For nearly 500 years, cooks here have been blending Native American foods-like blue corn and squash-with chile peppers, wheat flour, pork and other ingredients the Spanish settlers brought with them from Europe and Mexico to make what we now know as New Mexican Cuisine. Today, the smoke-kissed flavor of freshly roasted green chiles and the earthy fruitiness of red chile sauce are essential to our favorite dishes, like breakfast burritos, stacked enchiladas and stuffed sopaipillas. Don&apos;t like spicy foods? No problem. 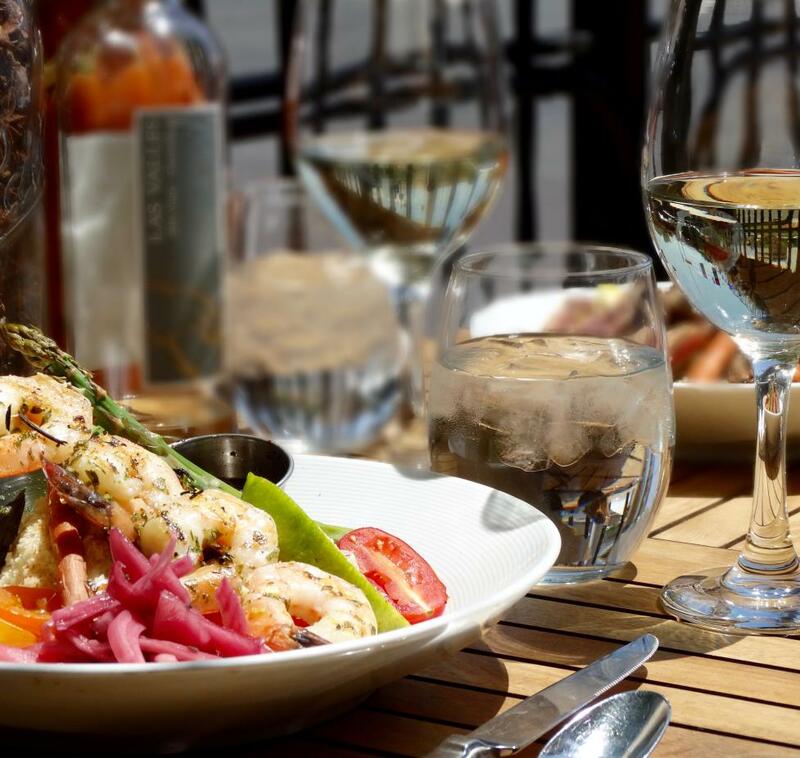 Albuquerque restaurants include brick oven pizzerias, pit-smoked barbecue joints, Vietnamese cafés or prime steakhouses. You want vegetarian, Mediterranean, Italian, Spanish, Greek or Chinese? We&apos;ve got it. Recently ranked as one of the top five unexpected brewery cities in the United States by Outside Online, Albuquerque breweries have a variety of tastes to please any palate. With close to 40 breweries and taprooms around town, there are many unique flavors and barrel aged perfections to enjoy. Sip and enjoy at local restaurants, make it mobile on unique beer tours, or find something new at one of the many micro breweries experimenting with fun flavors including cucumber cream ale. Sitting at a mile above sea level (5,000-6,000 ft. elevation) Albuquerque enjoys 310 sunny days and cool, crisp evenings thanks to its high-desert climate. Albuquerque&apos;s climate and landscape are perfect for outdoor adventure vacations – even in the winter! Did you know that Albuquerque&apos;s mountains present a variety of winter sports to join in on? In addition to serving as a dramatic backdrop to the city, the Sandia Mountains - which dominate Albuquerque&apos;s eastern skyline - can be seen frosted with snow throughout the winter. An approximately 15-minute ride on the Sandia Peak Aerial Tramway sweeps visitors up to the 10,378-foot summit. In a good snow year, Albuquerque&apos;s winter months provide gorgeous weather for New Mexico skiing and snowboarding at Sandia Peak Ski Area, as well as snowshoeing and other outdoor winter activities. The Sandia ("Watermelon" in Spanish) Mountains beckon outdoor enthusiasts as the eastern landmark of the city. In the evening, the mountains turn a pinkish hue as the sun sets creating a spectacular backdrop for the city. 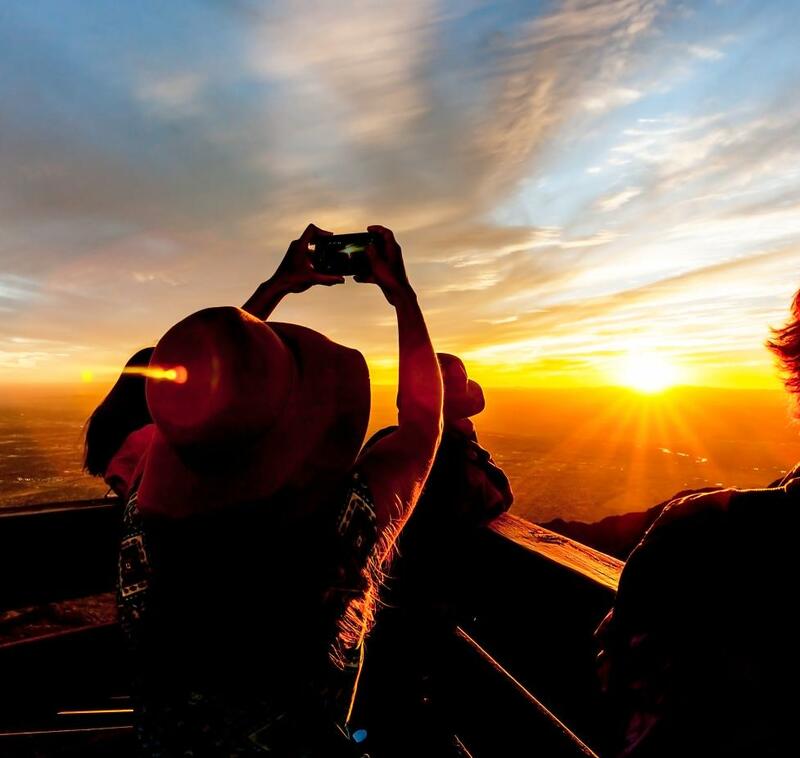 The high-desert landscape offers an array of hiking options with challenging trails to the top of the 10,678-foot Sandia Peak, rolling paths through the foothills and even a walk through through history at the Petroglyph National Monument. The Sandias are perfect for beginner to advanced mountain biking and road cyclists head out from the city in every direction - for flat training rides or challenging mountain inclines. If you are a leisurely rider, check out the local rental companies that offer guided tours of areas like Old Town or the Paseo del Bosque Trail, which was recently named one of the 20 Best Bike Paths in the West by Sunset Magazine. Clear blue skies, calm winds and mild temperatures are the norm in Albuquerque, encouraging year-round hot air ballooning and enabling more than 300 resident balloonists (more than any other state) to fly hot air balloons frequently and for long periods of time. If the hot air balloons you see dotting the sky pique your interest, why not take a flight yourself? Local hot air balloon companies provide rides for visitors on a daily basis. To learn more about the science and history of ballooning, as well as the story of ballooning in New Mexico, visit the Anderson-Abruzzo Albuquerque International Balloon Museum, located at Balloon Fiesta Park. This museum is an exciting showcase for the history, art, science, culture and sport of ballooning. Golf is a year-round sport in Albuquerque. Our forested mountains, lush river valleys and high desert plains combine to make central New Mexico a dream come true for golf lovers. From desert links to parkland and mountain courses, Albuquerque offers arguably the most diverse golf experience available in one area. The destination&apos;s high desert setting provides mile-high elevation, varied landscape, sunny days, low humidity and an endless blue sky for a perfect Albuquerque golf vacation. If you haven&apos;t played golf in the Albuquerque area, you have been missing out on one of the sport&apos;s best-kept secrets. In the winter, you can even ski in the morning and golf in the afternoon! Albuquerque is possibly the best family vacation destination, having something for all interests. The city has been voted among the top 10 cities for families several times. With a range of attractions for any interest every visitor is encouraged to be a kid at heart. From nature centers and museums to amusement parks and sports venues, families are guaranteed to have plenty of Albuquerque fun to choose from. Have fun in Albuquerque this winter and explore holiday traditions, indoor water parks, paintball and more in any of the family entertainment centers. Hinkle Family Fun Center offers an 18-hole Miniature Golf Course, Hinkle Extreme Paintball Adventure and much more. It is easy to explore nature throughout Albuquerque year-round! The ABQ BioPark includes a zoo, aquarium, botanic garden and fishing lakes (Tingley Beach). All facilities focus on environmental awareness, education and stewardship. The little ones can get up close to both exotic and native animals at the Zoo, or view the Rio Grande ecosystem from an underwater perspective at the Aquarium. At the Botanic Garden, you can let your imagination run wild in the Children&apos;s Fantasy Garden and from late November through early January the grounds are transformed into the River of Lights. Tingley Beach offers something for the whole family including fishing, walking, hiking, model boats and rental bikes. Kids love the train that connects the Zoo to the Aquarium and Botanic Garden! The Rio Grande Nature Center State Park offers excellent bird watching throughout the year, as well as two miles of nature trails along the river&apos;s bosque. Walk amongst history at the Petroglyph National Monument where you can explore more than 20,000 ancient rock carvings etched into the volcanic stone. 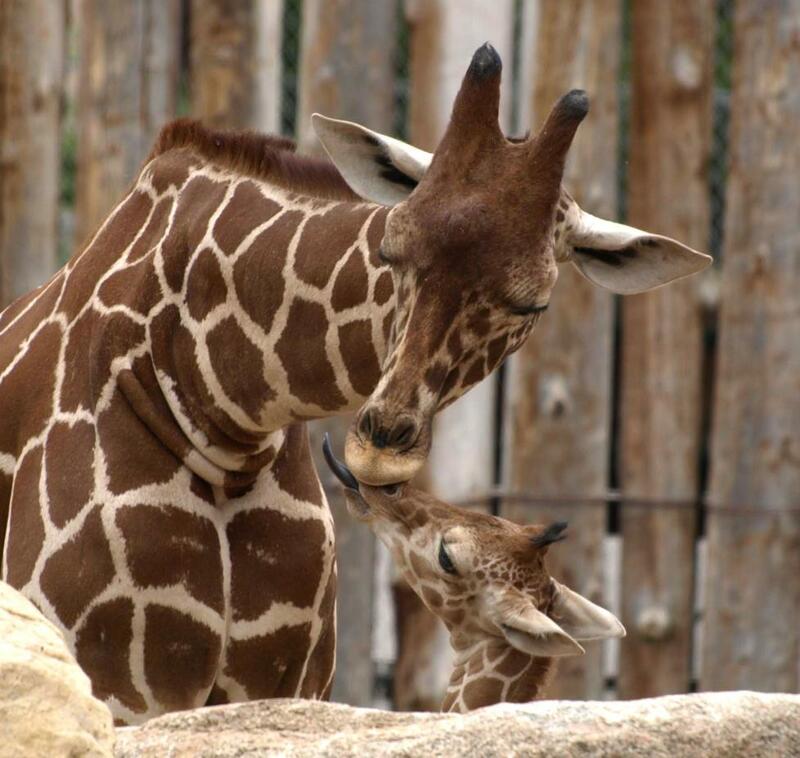 If the kids love animals, they will enjoy the hands-on experiences at Wildlife West Nature Park, which features over 20 species of animals native to New Mexico. Are your children into science and history? The city offers many interesting historic attractions and learning opportunities for families in Albuquerque. There are multiple learning centers and museums filled with history, which the whole family will appreciate. New Mexico Museum of Natural History & Science has dinosaur exhibits and their Planetarium has two things that kids love: stars and planets. Inside the museum is the Lockheed Martin DynaTheater, where films come to life in 2D and 3D. There are shows playing eight times a day, usually with an educational theme. Across the street you will find Explora, a hands-on science discovery center with exhibits, activities, programs, theater performances and events in science, technology and art. The National Museum of Nuclear Science and History in Albuquerque lays out the entire history of the development of nuclear technology and weapons starting from the Manhattan Project, and displays a full-scale panoramic timeline of authentic atomic age weaponry and technologies. For centuries, New Mexico&apos;s geothermally heated mineral springs have given comfort to weary travelers. Today, the outstanding Albuquerque spas have made it a true relaxation destination. Area spas offer a wide range of services designed to soothe and pamper, often using indigenous ingredients like clay, blue corn meal, juniper and sage. Whether you&apos;re looking for a deep tissue massage, an exfoliating body polish, a purifying herbal wrap or a whole day of serene self-indulgence, you&apos;ll find it at one of the many luxurious spas in Albuquerque. As one of the best shopping vacations, you can explore Albuquerque and find a large variety of shopping options that will add that unique New Mexican flare to your collection. Discover Native American quality jewelry and countless other fabulous finds in this Southwestern art Mecca. The picturesque adobe shops and galleries of historic Old Town are filled with authentic Southwestern pottery, weavings, rugs, art and much more, most of which is offered at prices that can&apos;t be beat. Wherever you shop, you are sure to find the perfect gifts that will bring back wonderful memories of your time in Albuquerque. Get coupons and discounts for attractions, activities, restaurants and more in Albuquerque. Discover great winter getaway packages to help plan your trip. 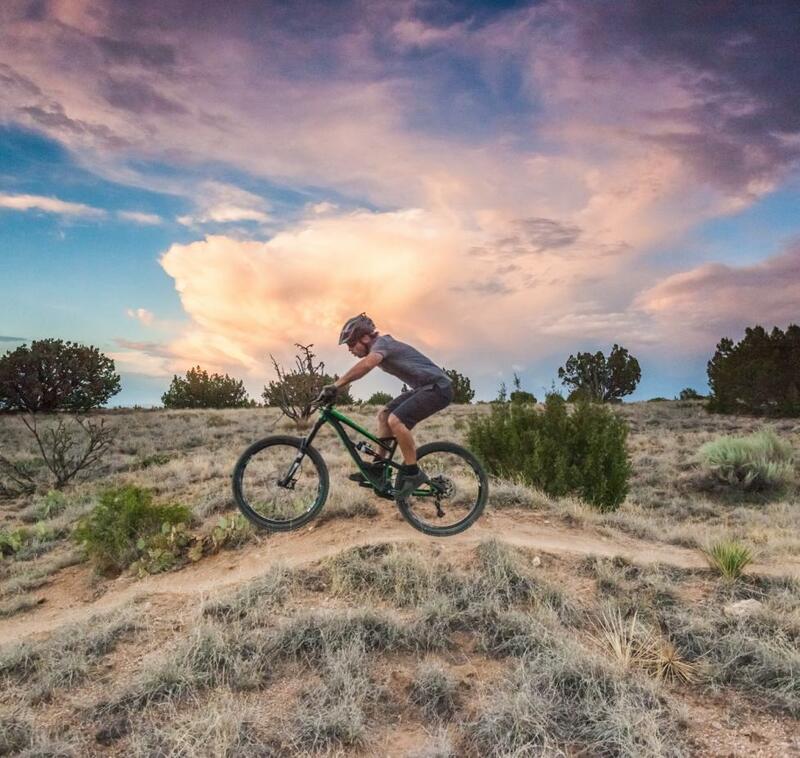 Albuquerque was named one of the Best U.S. Cities for Biking by USA Today. Albuquerque was named one of the 7 Great American Vacation Spots that Won&apos;t Bust Your Budget by Time.